This news was read 81 times. Autumn Agora İstanbul was held in İstanbul between 2 – 7 October 2018. 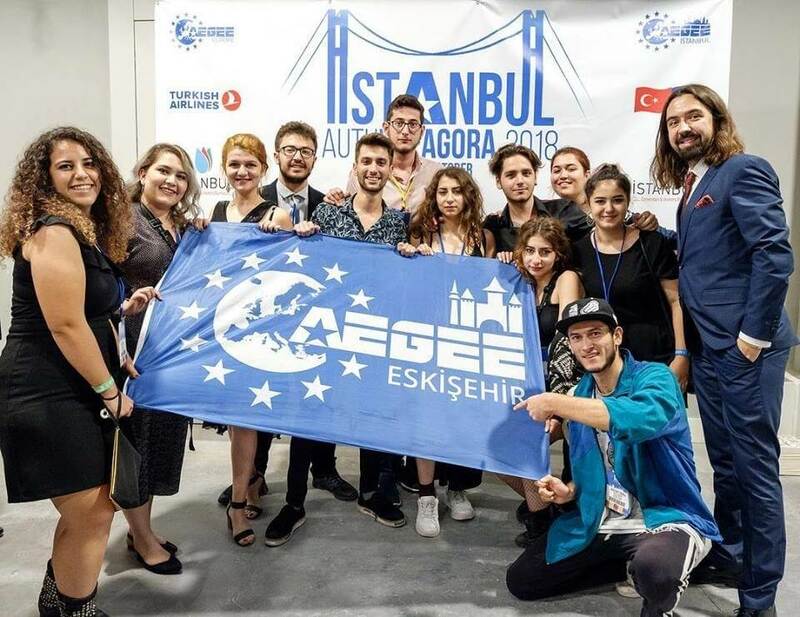 16 member from our local attended to Agora İstanbul to represent AEGEE-Eskişehir. We became “twin antenna” with AEGEE-Düsseldorf. We want to thank to the ones who helped us about being twin antenna. Our members Kutay Kaya and Muhammed Ali Türk made a presentation for AEGEE Eastern Partnership Project. Our members Gül Hira Nur Turhan, Ahmet Kerem Bilgi, Berfu Özer, Levent Temelkuran and Sedakat Rakibe Yetmişbir were in the organizer team of Agora İstanbul. We want to thank them for their efforts. "21 Mart Down Sendromu Farkındalık Günü Kutlu Olsun!